WE are the only complete tooling, rapid prototyping, and high volume production choice all under one roof, on our 5 acre campus. You save time and money by choosing one company to work with for the life of your project, from proto to production... fastest complete solution in the industry. Steel molds starting at $850 for our prototyping services. We have also invested in Asia capacity to expand your options for rapid tooling of prototyping and production. We have decades of experience importing from Asia. 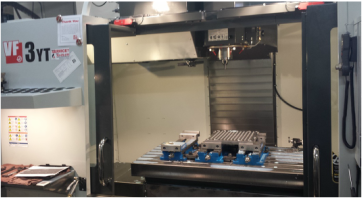 Multiple new CNC's to build your high precision molds....six new CNC's in the last 24 months accurate to +/-0.0002" Yes, two tenths of a thousandth! That allows us to reproduce your part to the accuracy you need. And your project will be on-time and in-budget. We provide the fastest design, tooling and production turnaround times in the industry while maintaining the highest levels of precision and quality, and we continue to invest millions to purchase the latest tools and equipment to ensure that our 5-acre Minnesota campus remains state of the art. Our designers, engineers, technicians and production experts work together during every stage of your project to make sure that our customers receive custom molded seals, gaskets, diaphragms and other rubber products that meet the specific requirements of the consumer, automotive, medical, defense and industrial sectors. We handle custom production runs ranging from a few dozen pieces to several million, and we have developed relationships with prominent manufacturers in Asia capable of fulfilling even the largest orders. Our custom molded products are available in an almost infinite range of colors and sizes that are capable of withstanding the rigors of even aerospace and defense applications. Our client list is a veritable who’s who of business giants including Fortune 500 companies like DuPont and General Electric, manufacturing behemoths including Ford and Electrolux and innovators such as 3M and Tesla. Whether you are a multinational corporation or a small local enterprise, you can be assured that Rubber Industries Inc. will treat you with respect, answer your questions quickly and provide you with the best customer service in the industry. 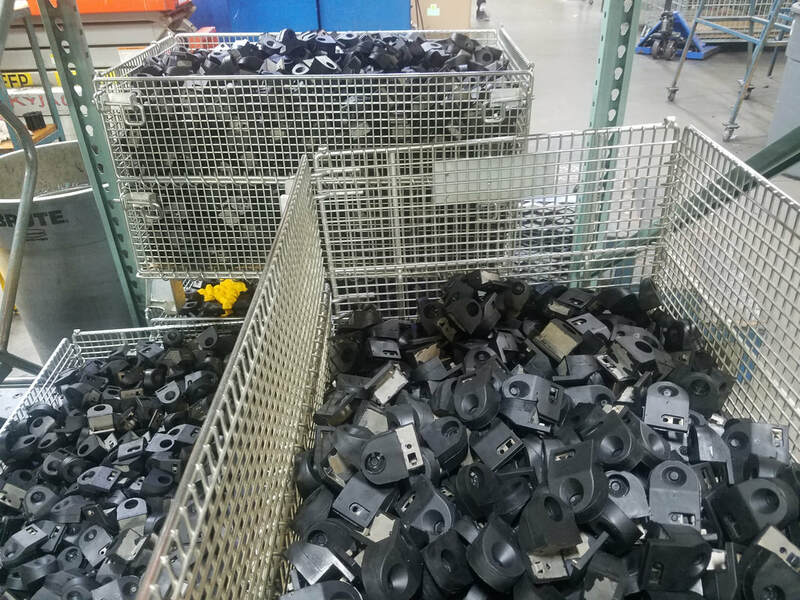 Our Fortune 500 clients keep coming back because they know that projects they have invested millions or even billions of dollars into can come to a grinding halt when rubber or silicone products that cost less than a penny each arrive late or fail to meet their exacting requirements. Decades of industry leadership means that can we offer complete peace of mind, and we offer it to all of our valued customers big or small. In addition to providing the industry’s fastest complete silicone services from proto to production, Rubber Industries Inc. has decades-long relationships with some of the most respected manufacturers in Asia. This allows us to deliver custom O-rings, valves, diaphragms and bellows in virtually unlimited quantities quickly and at extremely competitive prices. Our reputation is built on the fastest turnaround times and precision engineering and production, and we have invested millions into the latest injection, transfer, compression and silicone molding presses to ensure that we remain the industry leader. 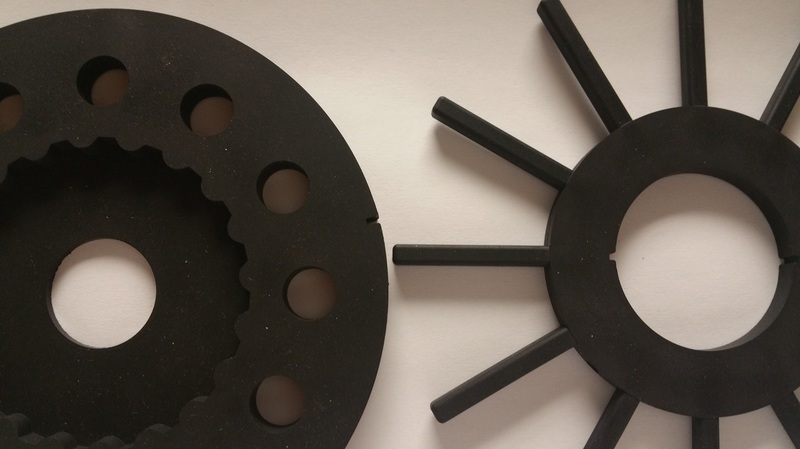 Even jobs that require complex custom tooling can be completed in 10 days or less, and custom silicone to metal bonded pieces can often be delivered in about a week. Rubber Industries Inc. is the go to source for custom molded and overmolded parts because we can complete projects that require custom tooling and dual durometer co-extrusion in about a week. High volume orders can be handled at our state-of-the-art Minnesota campus, and customers with exceptional needs can be accommodated by our Asian partners. Complex machines and sophisticated devices are only as strong as their weakest components, and cutting corners when choosing seals, O-rings, gaskets and bellows can be a very expensive mistake. 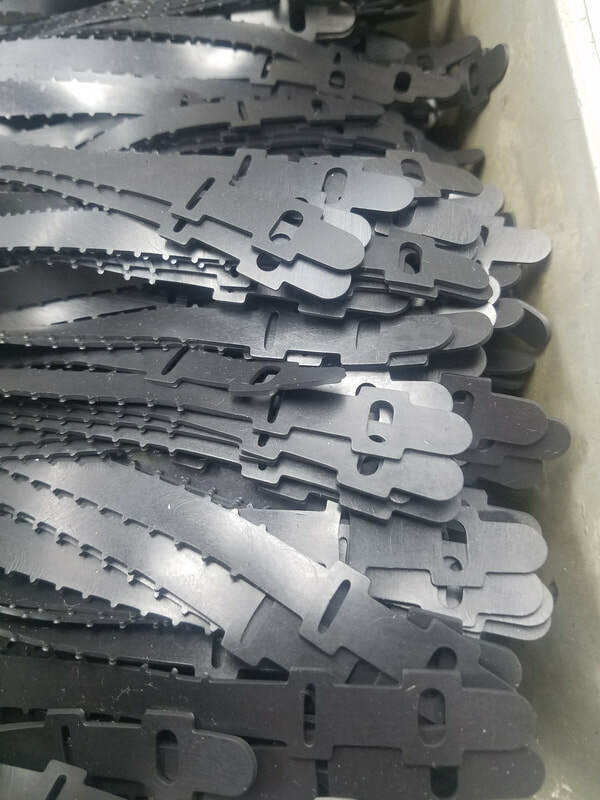 That is why production managers and project leaders at companies like General Electric and DuPont have Rubber Industries Inc. on their speed dial lists, and it is why you should consider trusting us to take care of your high volume or low volume rubber and custom silicone to metal bonded part needs. - Automotive manufacturers including Ford, General Motors, Toyota and Tesla. - Consumer goods giants like Electrolux, Emerson and Arctic Cat. - Leaders in the medical sector such as Abbott Laboratories, 3M and General Electric. - Aerospace companies including Lockheed Martin and Bell Helicopter. - Industrial titans like DuPont, Honeywell and Corning. Save time, money, and keep control of your important custom silicone, rubber and LSR projects by using a company that has its design, engineering, tooling and manufacturing facilities all under the same roof. Our technicians do not send emails and then wait patiently for a response if they have questions or when problems arise. They keep projects on track by simply walking across our 5-acre Minnesota campus to get the answers they need immediately. 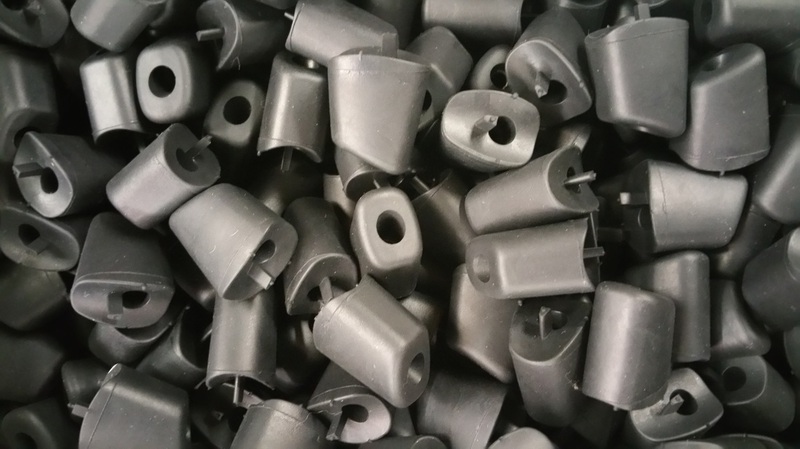 Do you need a custom metal component that is overmolded with rubber? This is a complex process that involves several manufacturing stages, but we have the experience, know how and sophisticated machinery needed to handle it and can deliver overmolded pieces in a variety of custom colors in days, not weeks. Rubber Industries Inc. is usually the first call when major corporations need a prototype in a hurry, and we offer the same fast turnaround times to small and medium-sized businesses as well. Keeping everything under one roof provides cost benefits that we can pass on to our customers, and our contacts in Asia give us access to an almost unlimited supply of components. Value and dependability come standard at Rubber Industries Inc., and steel molds that start at $850 are just one example of our customer-friendly pricing. 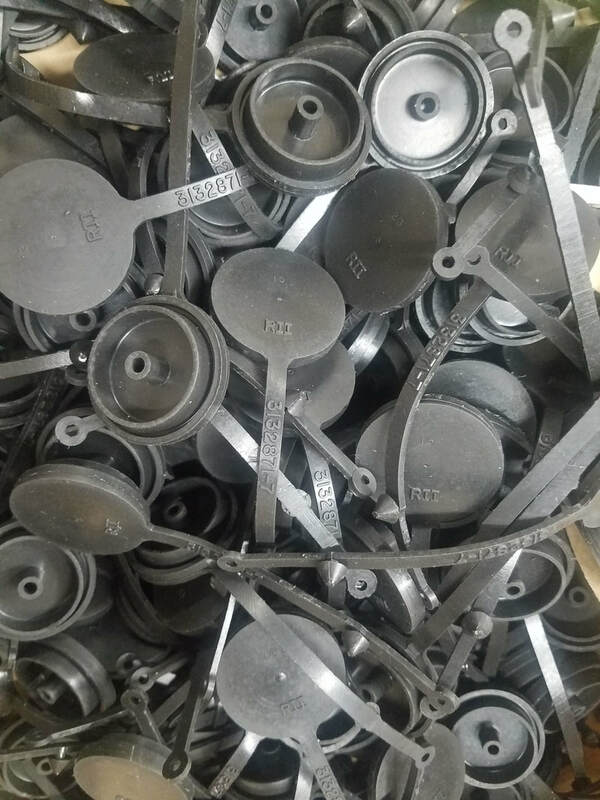 We have produced steel prototypes in just one day, and even custom silicone or molded rubber prototypes can be completed in as little as 72 hours. Our clients expect the best, and we deliver with the fastest silicone and rubber production tooling services in the industry. We also use steel rather than aluminum tooling to produce durable and functional components in a week or less. Our massive Minnesota campus offers low volume production for clients with modest needs, but it can also manufacture millions of rubber and custom silicone to metal bonded pieces when our customers have reached the roll-out stage. We have decades of silicone and rubber injection experience and can deliver prototypes or finished pieces in a dizzying array of custom colors. We also offer low volume production for limited runs and can fuse two different materials together so that they provide a consistent cross section using the dual durometer co-extrusion process. Manufacturing processes evolve over time, but the latest machinery is costly and often out of the financial reach of smaller production companies. Rubber Industries Inc. has remained the industry leader because we invest millions in the latest technology to make sure that our customers always get the best, and equipping our vast 5-acre facility with state-of-the-art equipment and presses allows us to offer turnaround times that consistently baffle even our fiercest competitors. 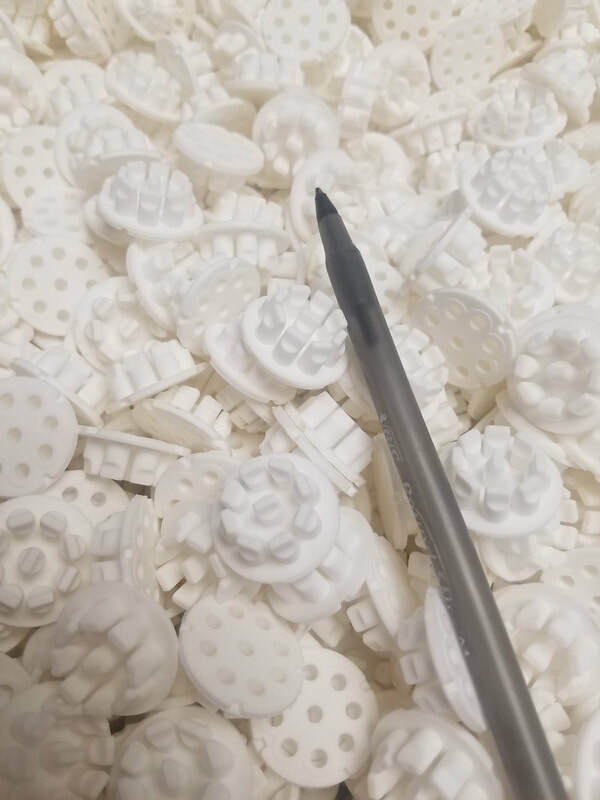 When you want the fastest complete silicone services from proto to production and expect your projects to be handled professionally whether you need a dozen pieces or several million, call Rubber Industries Inc. to find out why we are trusted by Fortune 500 corporations and small businesses alike. We are able to deliver the highest quality at the best prices year after year because we have a consistent management philosophy, are commitment to excellence in customer service and invest heavily in the latest equipment and systems. We were experts in the field of highly efficient silicone injection molding when our competitors were still making silicone items using plastic injection molding techniques. Keeping an eye on the future and adopting the latest innovations allows us, and our clients, to stay one step ahead in a very competitive business world. 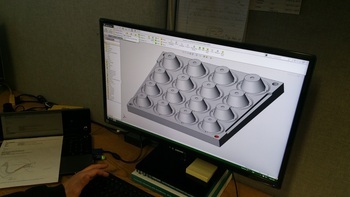 You may call us because we offer the fastest silicon, LSR, and rubber production tooling around and can often complete even complex projects in a matter of days, but it is our communication, service and dedication to making the best prototypes and components possible that will convince you to join our long list of loyal clients. This list includes some of the biggest names in manufacturing and technology including DuPont, Ford and Honeywell. 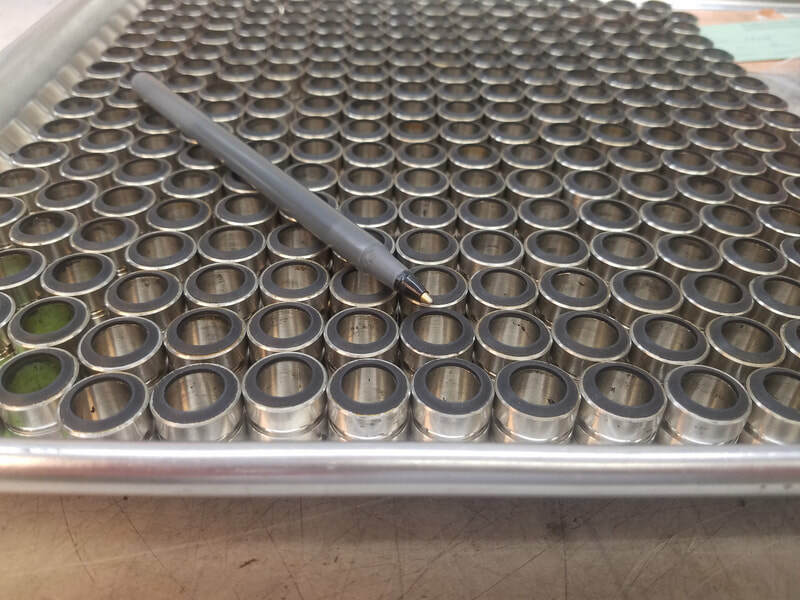 All in seven days, we have designed and created a 19" x 23" custom multi-cavity tool out of steel and shipped over 10,000 custom silicone parts. We manufacture tens of millions of components and hundreds of tools every year. We excel at high volume injection molding with the ability to deliver within days. A popular material in manufacturing, most consumers have heard of it. A lot of items can be made of silicone, such as storage containers, bakeware, kitchen utensils, automobile components, and electronics. One of the outstanding properties of this material is it can withstand temperatures from -67 degrees Fahrenheit to 572 degrees Fahrenheit (-55 degrees Celsius to 300 degrees Celsius). Other beneficial properties of silicone include biocompatibility, hypoallergenic, fire resistance, dielectric strength, and resistance to tearing. It's resistant to most chemicals as well. Because this material is biocompatible, it's safe to use in medical implants. There are different formulations for creating silicone, so exact properties of the material vary slightly based on its formulation. To be on the safe side, you should always confirm with a manufacturer that the silicone formula they use meets the requirements in your item. Another popular elastomer, this material is used in a wide variety of industries. It's a common choice in the auto industry for its durability and high temperature resistance. The material can resist temperatures from -58 degrees Fahrenheit to 302 degrees Fahrenheit (-50 degrees Celsius to 150 degrees Celsius). EPDM can withstand intense pressure, water exposure, and chemical exposure. The material can function as an electrical insulator as well. If you have a product idea that needs to be UL listed, this is a good choice in material as it can pass UL standards. Because of its resistance to fuel, oil, and other chemicals, NBR is often used in the automotive industry for components that come in contact with oil or fuel. Based on how much nitrile is in the polymer, physical and chemical properties of NBR may vary. A higher concentration is associated with greater resistance to oils and less material flexibility. NBR has temperature resistance ranging from -40 degrees Fahrenheit to 226 degrees Fahrenheit (-40 degrees Celsius to 108 degrees Celsius). It is used in auto and aeronautical applications. Hoses, grommets, and self-sealing fuel tanks can be made with this material. This material has a very high density that exceeds 1,800 kg/m3. In general, it is compatible with hydrocarbons. The material is durable, resistant to compression, and resistant to chemicals. It can be used for components that come into contact with water. This elastomer has good electrical properties for low voltage applications. You'll find it commonly used in scuba diving equipment, automobile components, and chemical-resistant gloves. It's not easily affected by atmospheric oxidation, fungus, mold, or weather. There are different grades of viton, so make sure to check with your manufacturer that the type they use has the characteristics you desire. Cost of FKM is highly related to the fluorine content. As a material impermeable to air, butyl is used for applications that need to be airtight. It's harder than other elastomers and also less porous. Examples of its uses include tire inner tubes, ball bladders, caulks, roof repair, waterproof tape, gas masks, and protective clothing. Because of it's shock absorption property, the elastomer is frequently used in shock mounts. Other benefits of this elastomer are impermeability to a lot of gases, vibration damping, biocompatibility, and ozone resistance. HNBR, has great resistance to many industrial chemicals and auto fluids like oil, fuel, and coolant. It has excellent physical strength and can retain its properties even after long-term exposure to high temperatures, chemicals, and oils. The elastomer is commonly used for auto parts, roller coverings, and manufacturing components. Also commonly used in the oil industry, especially in the fracking industry. FKM is known for high temperature resistance and pressure resistance. It can withstand exposure to chemicals and fuels too. The material can stay strong against temperatures exceeding 392 degrees Fahrenheit (200 degrees Celsius). Examples of industries it's commonly used in are the aerospace, energy, auto, and semiconductor industries. A material sometimes used in car and truck tires, SBR is valued for its resistance to abrasion. By increasing styrene content of the material, hardness is increased and flexibility is decreased. This elastomer is also resistant to high temperatures. Other items it can be used for include shoe soles, shoe heels, gaskets, speaker drivers, cutting boards, and binders in lithium-ion battery electrodes. We are able to create many different types of products with these materials using custom molding methods like injection molding, transfer molding, and compression molding. Our company also offers custom tooling. Our modern plant provides steel tooling not temporary aluminum tooling. Steel tooling from us is less expensive than aluminum tooling from others. You'll get repeatable, higher quality results from steel molds, and steel molds last longer than aluminum molds as well. We have one of the fastest production tooling services in the industry. It's not uncommon for our clients to receive their orders within 1-10 days. Operating 24/7 all days of the year combined with our deep expertise enables us to deliver the fastest tooling and custom molded items in the industry. Committed to fast delivery of quality components, we use modern manufacturing processes and have invested millions in our US plant. Some of the methods we use are compression molding, injection molding, transfer molding, bonding, and dual durometer. Using bonding we can create EPDM to metal bonded, nitrile nbr to metal bonded, NBR to metal bonded, FKM to metal bonded, and other rubber to metal bonded items. 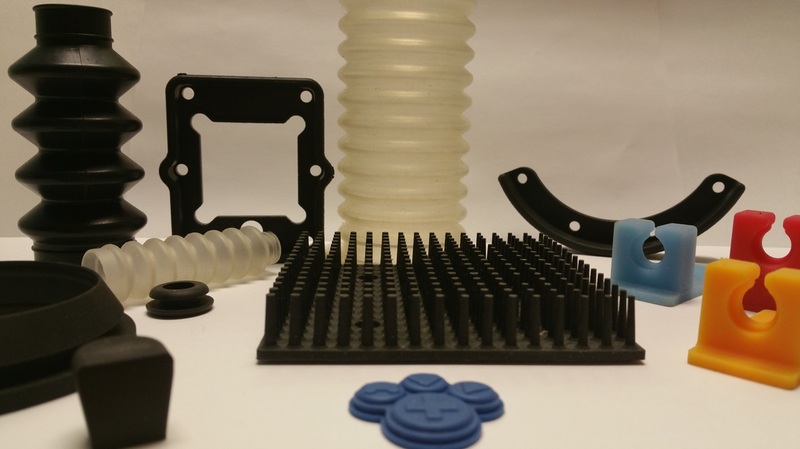 When your prototype is in need of an even stronger connection between materials, we can make overmolded items for you instead. Examples of overmolded products include tool hand grips, and many industrial and consumer parts that you aren't even aware are used in an assembly for the best performance and lifecycle cost. For instance, we make millions of overmolded parts annually for office furniture to provide both strength and unique bend, flexibility and strength! 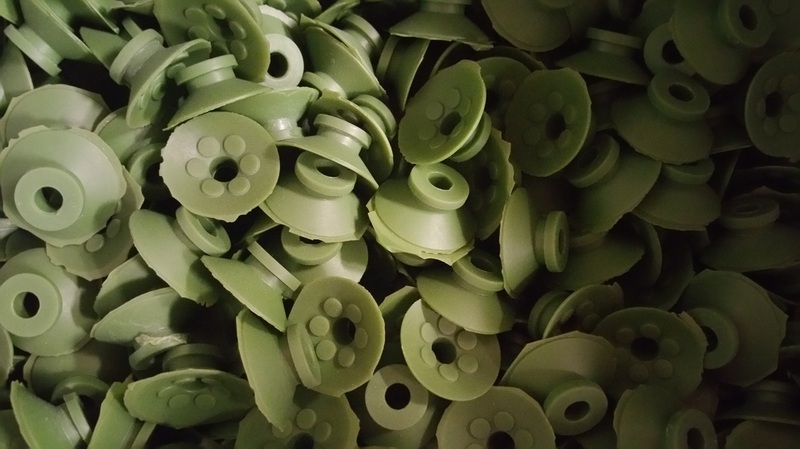 We manufacture millions of silicone to metal bonded parts for medical - passing cytotoxicity testing along with incredible lifecycle cost and functionality. A dual durometer item is one that has two hardness characteristics, such as a golf club grip. We have the necessary skill to manufacture this kind of item for you. Our company also offers custom colors, so you can get your components in the custom colors of your choosing. We have quick high volume capability with injection molding. This is a very economical process for those who need to place high volume orders. Other benefits of custom injection molding include less material waste, no need for pre-forms, no need for operator placement, and fewer problems with flash. What Industries Can We Serve? We can serve clients from a wide array of industries. Typical components we manufacture include seals, o-rings, gaskets, bellows, diaphragms, and plugs. Although most of our clients are from the medical, automotive, industrial, and consumer industries, we are happy to help clients in other fields as well. Some of our clients are even in the defense contracting industry. And we are trusted by well-known brands as well, such as GM, Ford, Tesla, The Walt Disney Company, and Honeywell. Both high volume and low volume productions are happily accepted at our company. You can rely on us for your custom molded needs no matter what type of rubber or molding process you choose. Why Choose Rubber Industries, Inc for your custom tooling and molding projects? We have quick high volume capability with injection molding and multiple modern injection presses to meet your specific project. You can receive your components within 1-10 days. We have invested millions in our US plant to continue offering high quality services and to maintain a modern plant. Steel tooling from us is less expensive than aluminum tooling from others. Our company has one of the fastest production tooling services in the industry all at a lower cost. We use long-lasting steel tooling not temporary aluminum tooling. This helps you save money because you can produce a higher quantity of components from steel molds. We offer the fastest method to get large quantities of parts fast and economically. Our company accepts both high volume and low volume production orders. 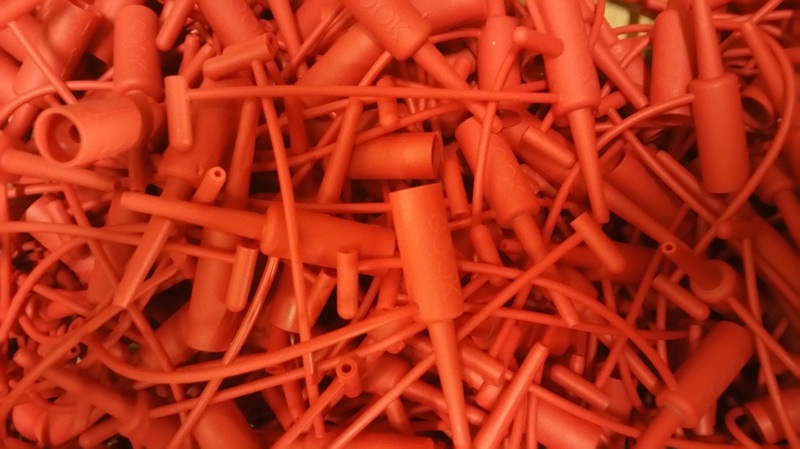 After being in the industry for over 50 years under the same ownership, we have deep expertise and consistency in providing top-notch rubber molding services. 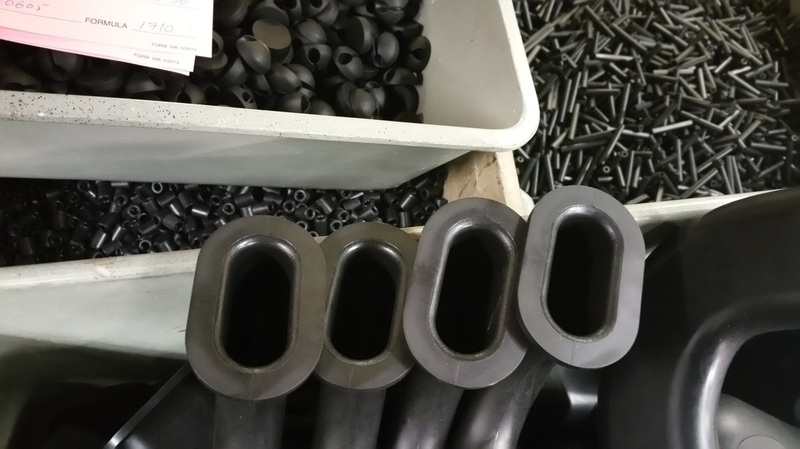 We can offer many different types of rubber to metal bonded items, such as nitrile nbr to metal bonded, EPDM to metal bonded, FKM to metal bonded, and NBR to metal bonded items.